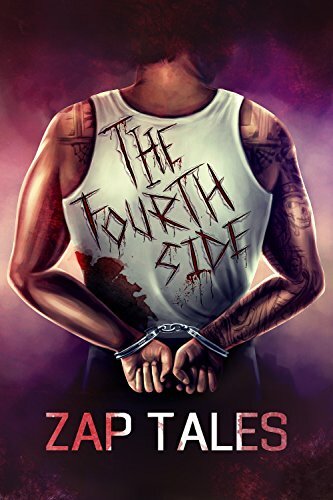 *The Fourth Side: A Prison Odyssey (Deal, Not Free) by Zap Tales. Price: $9.99. Genre: Biographies & Memoirs Deal, Sponsor, True Crime, Riveting and Gritty Memoir. Rated: 5 stars on 1 Reviews. 211 pages. ASIN: B0752YM6T5. *Executive Hoodlum: Negotiating on the Corner of Main and Mean (Deal, Not Free) by John Costello, Larry Elder. Price: $4.49. Genre: Non Fiction Deal, Sponsor, True Crime, Murder and Mayhem, The Resilience of the Human Spirit, No Holds Barred. Rated: 5 stars on 43 Reviews. 261 pages. ASIN: B075H1HXK3. ISBN: 1547284269. See the website of this book, it is going to be made into a movie! *SUMMARY EXECUTION: The Seattle Assassinations of Silme Domingo and Gene Viernes (Deal, Not Free) by Michael Withey. Price: $2.99. Genre: Non Fiction Deal, Sponsor, Assassins, True Crime, Shady FBI Informants, Murdered Witnesses, A Murderous Foreign Dictator. Rated: 5 stars on 1 Reviews. 348 pages. ASIN: B077TRYRGC. *The Cali Cartel: Beyond Narcos (War On Drugs Book 4) by Shaun Attwood, Jane Dixon-Smith. Price: Free. Genre: Non Fiction, Sponsor, Gilberto Rodríguez Orejuela, Cali Cartel, True Crime. Rated: 4.5 stars on 38 Reviews. 214 pages. ASIN: B071L95TQF. ISBN: 1548433535. Previous Previous post: Kindle True Crime Deals for Tuesday! Next Next post: 5 Wonderful Free Kindle True Crime Books for Thursday!